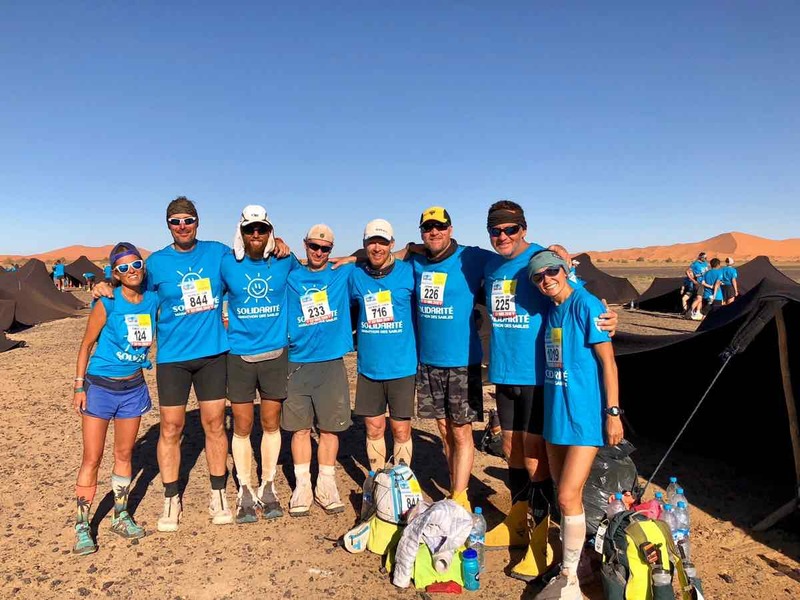 Why the Marathon Des Sables? We all have our ‘why’ for when we toe the line of an endurance race. 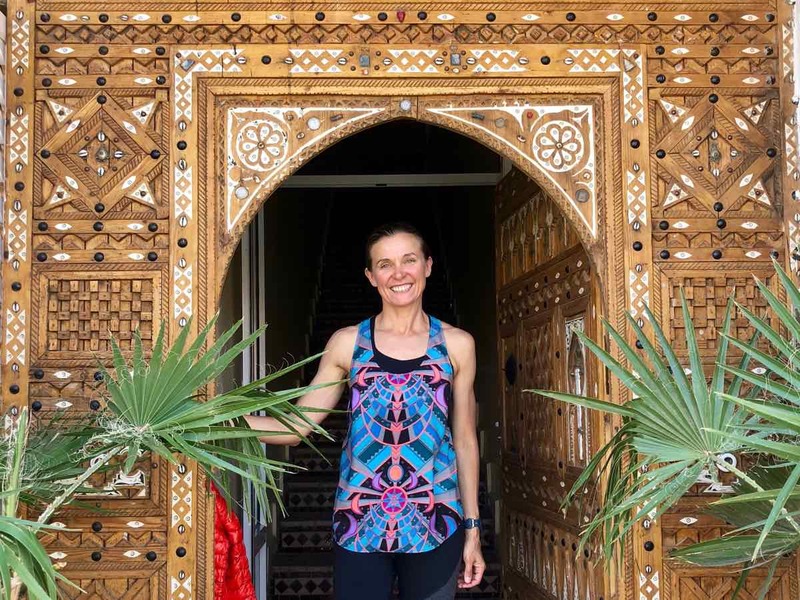 For me, the idea of running a 250-kilometer, seven-day, self-supported (read: you carry all your food and gear in your backpack) race across the hot and arid Sahara Desert scared me. My entire life, I’ve been the kind of woman who enjoys challenging herself and this seemed right outside of my comfort zone. I love learning new skills and I love pushing the limits of what my body and mind can accomplish. It’s incredibly satisfying to look at a goal, be intimidated, commit to it, and finish successfully. I was invited by the Ultra-Trail World Tour to participate in the Marathon des Sables (MDS) and I was excited to take on that challenge. It’s impossible to tell the story of my race at MDS without starting with the training plan that Ian Sharman and I put together to prepare me for this challenge. Ian said, “This race is unlike anything you will ever do.” That was both exciting and very scary, and that fear fueled my motivation for training in the months leading up to the race. After learning more about the race, I knew this was not just about covering the distance each day, but also about dealing with carrying a pack, running in sand, and coping with the heat. My commute to work is about five miles each way, so Ian had me hiking or running to work with a pack. This part was a struggle at first, but I quickly found myself running to work with a 25-pound weight vest. I started to feel stronger and that weight vest became a part of me. We became inseparable. Magda training with a weight vest and backpack. Photo courtesy of Magda Boulet. My favorite part of the training was preparing for running in the sand. It required getting myself and my family out to Stinson or Limantour Beaches in Marin, near my home in California, both incredibly beautiful places. On one such training run, I ran back and forth on a three-mile stretch of sand for 20 miles. These sessions were as much about learning how to run on sand as about mentally preparing for repetition. Lastly, and my least favorite part about the training, was the heat training I did in a work-made heat chamber. After work, I would bring a space heater into a small room at the office, dress up in sweats, a puffy jacket, and a beanie, and do step ups in 110-degree-Fahrenheit heat for an hour. That was rough, as rough as anything I’ve done in training. But I knew that being as comfortable as possible in the heat would be key to not only surviving but competing well in the desert. Clearly, the training plan Ian and I put together prepared me very well physically and mentally, but I benefited the most from putting frequent miles while wearing the weight vest or heavy pack. Looking back at my preparation, I trained on beaches and I wish I would have added running up and down some sand dunes. Heating training after work. Photo courtesy of Magda Boulet. At MDS, there is a long list of mandatory gear that you need to carry at all times in your backpack, including all your food for seven days. I admit, I dreaded the concept of tinkering with perfect gear because I tend to prefer a minimalist approach. This is where I reached out for help. I can’t overstate how thankful I am to all the people who helped me put together my gear. 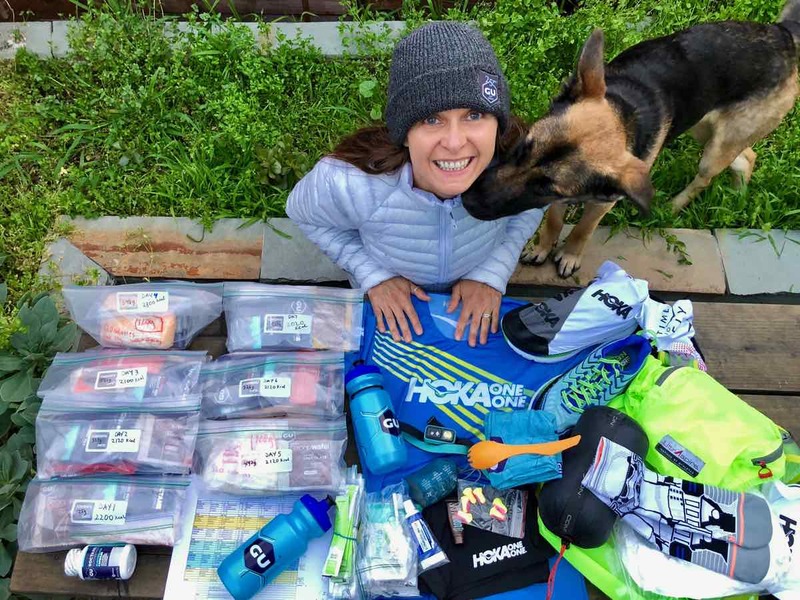 Meghan Hicks for telling me what I didn’t need, Elisabet Barnes for writing an awesome gear report, both former MDS champs. 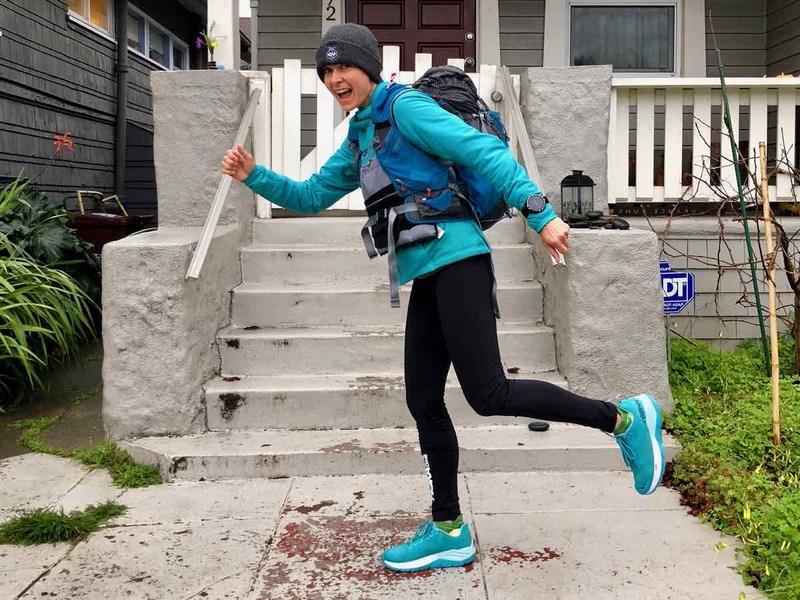 Bryce Thatcherat UltrAspire who made my pack, my team at Hoka who perfected my gaiters and apparel, my friend Kei Kodaniwho made last-minute tweaks to the way my pack fit, and of course my husband Richie Boulet for researching the lightest gear and getting me dialed in. The required weight of everyone’s pack at the start needed to be at least 6.5 kilograms—a rule to make sure race entrants don’t go too minimal on things like a sleeping bag, their backpack, and clothing—and I made some difficult decisions at the very last minute between the must-haves and nice-to-haves. My pack ended up weighing closer to seven kilograms at the start because I opted for more than 2,000 calories in favor of carrying my phone or even a sleeping pad. Going as light as possible meant that I wore the same clothes all day, every day. The only extra clothes I had were the Ghost Whisperer Down Jacket from Mountain Hardwear (6.6 ounces), which kept me warm at night when the temperatures dropped to almost freezing, and a pair of silky, light Stance socks, which felt soooooo good to put on at the end of the day. This was an extremely valuable experience for me on how to balance weight, energy, effort, nutrition, hydration, and comfort. Hoka Clifton 4 shoes (with expertly attached Raidlight gaiters): I loved the ride of the Cliftons in the desert. My feet are still grateful. UltrAspire Epic Hydration Pack: A great, light pack, perfect for stage racing or fastpacking. Mountain Hardwear Ghost Whisperer Down Jacket: Critical to stay warm at night and this jacket was just the best hang-out jacket post-run. Stance Storm Trooper Crew Socks: I always bring one piece of apparel that makes me smile. Julbo Explorer Sunglasses: They protected me from the sun and kept the sand out of my eyes. Magda and all her kit before the start of the race. Photo courtesy of Magda Boulet. MDS is very much about spending time with people and making new friends. You live with 1,200 people from all over the world in a bivouac, a strategically organized camp with more than 100 tents. 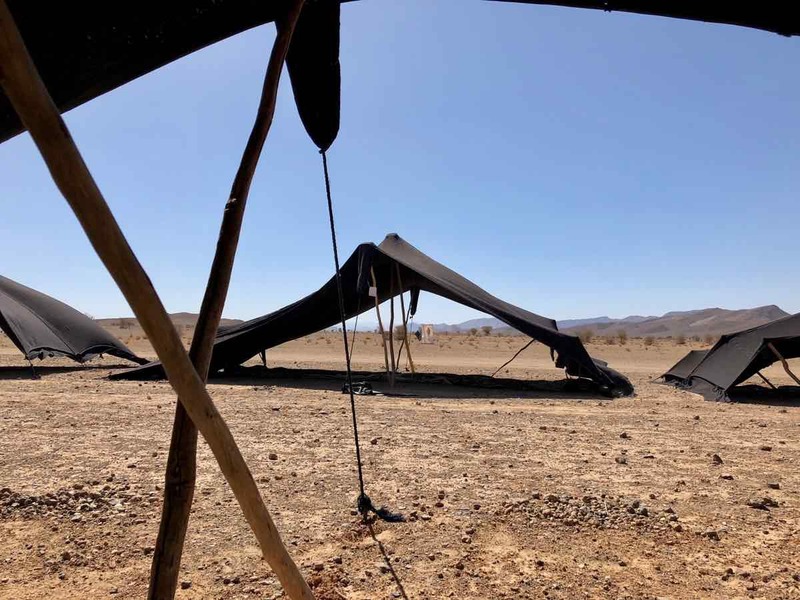 The tents we slept under are more of a canopy and are open at the bottom—they are the traditional tents of the Berbers, who travel nomadically in the Sahara, and they are meant to create shade and allow breeze to travel under them for a cooling effect. Sometimes the wind was so strong that anything that was not tucked into your backpack was blown away into the desert or simply covered with sand. Runners get assigned to a tent with seven other people for the week, usually by countries or at least with people who speak similar languages. I lived in Tent 92 with incredible tentmates Chris Moroch, Jay Batchen, Nick Cienski, Gael Couturier, Emily Kratz, and brothers Bill and Jon Cavanaro, who all became a big part of my success throughout the race week. These seven amazing people were the most positive and determined runners from North Carolina, Wyoming, Maryland, Wisconsin, Massachusetts, and Venice, Italy. We quickly became invested in each other’s goals and wholeheartedly supported one another until each and every one of us crossed the finish line. I feel so fortunate to have met them and we will always be bonded by our Saharan journey and shared adventure. I don’t think any of us will forget being woken at about 3 a.m. during our third night in the desert by a violent sandstorm with driving winds and sand EVERYWHERE. Sand in my ears, eyes, teeth, nose, and in the fabric of my clothes and sleeping bag. Some competitors lost their entire backpack. I was near one of the corners of the tent, and grabbed the edge to hold it down, not just to keep wind and sand out of the tent, but to keep the tent itself from blowing away. Jay, who has competed at MDS 13 times, almost slept through it. We woke him up and he told us to relax, “It will probably pass in one or two hours.” Since my forearms were already starting to ache from holding down the tent, I was worried I might fly away. I couldn’t see anything because sand was blowing everywhere and so was our gear. One of our tentmates lost his bib number and gaiters. We kept it together, stayed calm, and eventually went back to sleep. 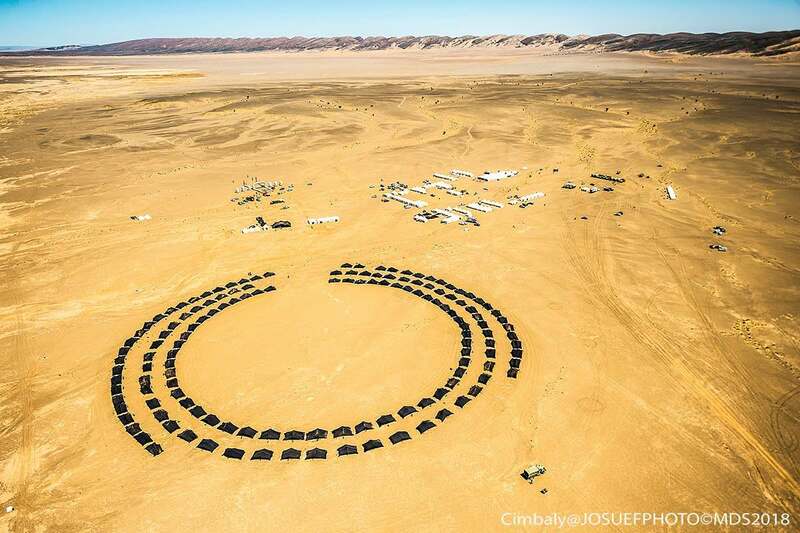 We slept solid for the rest of the night, but early in the morning everyone at camp was searching for their belongings before the start of the stage, and off we went to run in more sandstorms that day. The view from under one of MDS’s tents. Photo courtesy of Tent 92. Three hours before each stage: Overnight instant oats mixed with one serving of GU Chocolate Smoothie Recovery Drink Mix for extra protein. One hour before each stage: One GU Salted Chocolate Stroopwafel topped with almond butter. During each stage: One serving of Gu Roctane Summit Tea every two hours, which was determined by my metabolic efficiency test before the race while running with a pack at predicted average race pace. Immediately after each stage: Two servings of GU Chocolate Smoothie Recovery Drink Mix. Pre-dinner snack: GU Stroopwafel with cashew butter. I also sipped on a branched chain amino acid drink throughout the day to protect muscle breakdown induced by all the mileage. I consumed around 10 to 20 grams of BCAAs from my drink per day. Dinner: Instant mashed potatoes with medium chain triglycerides oil powder for extra fat with a variety of flavors such as curry or cheese. Each night this meal tasted like the best meal of my life. After the 53-mile stage, I had two servings of mashed potatoes! Life was so good. The running itself was obviously tough. There’s a reason MDS is referred to by the race organization as the world’s toughest footrace. After the first day, I knew this was not going to be easy. 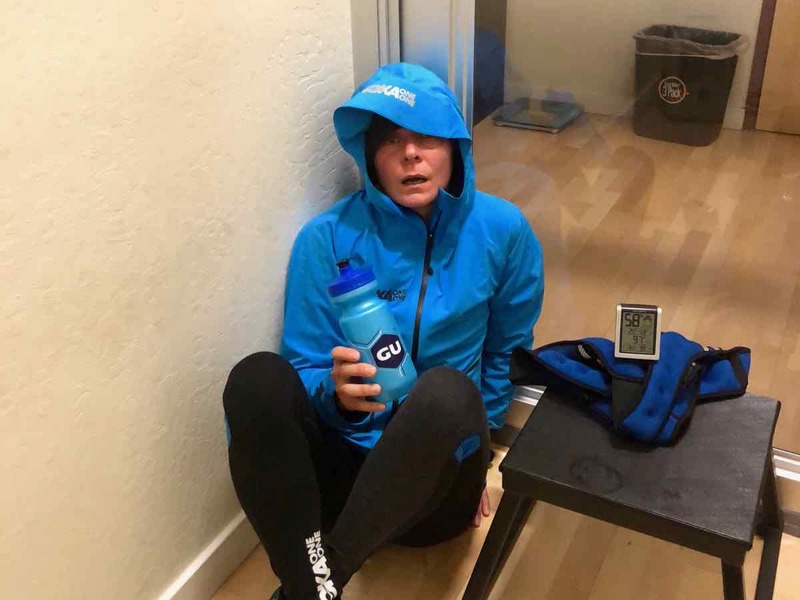 I had gotten a lot of good advice from people who have done the race in the past years, and I knew that conserving energy for the 50-mile day was important. From the start, Natalia Sedykh, who has won the race before, was running strong. I did my best to keep her from getting too far ahead, but she was really rolling. After the first stage, she had put five minutes on me, but at the control checkpoint at the finish, they did a random check for our mandatory gear, and she was missing a whistle. 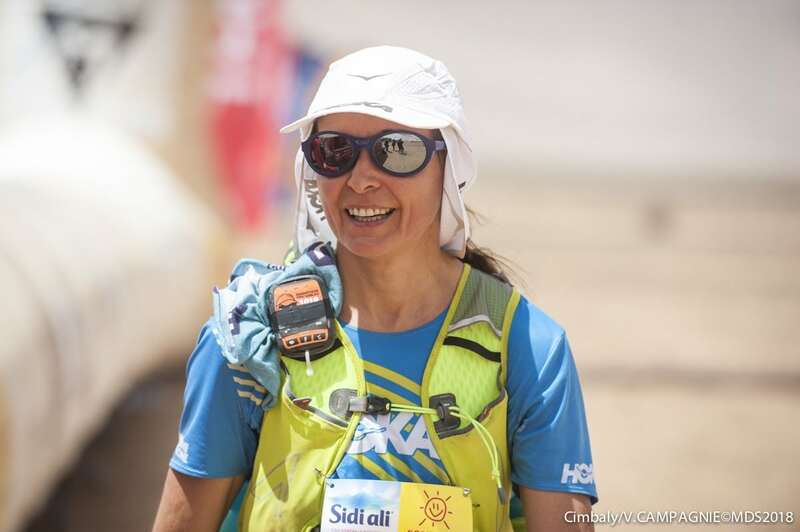 The MDS organizers are very strict when it comes to mandatory gear and assessed her a one-hour time penalty. From that point on, Natalia was on a mission to get that time back and kept pressing even harder each day. I had conserved some extra energy for the 50-mile stage, but it was tough. I found a good group of guys to run with and tried to make the effort feel as easy as I could. Perceived effort becomes reality and what you tell yourself during the race is critical. It was very hot that day, we were greeted by sandstorms and headwinds throughout the day, and there was plenty of soft-sand running to do. I talked to the desert a lot during this stage, especially at night when I found myself running alone. I asked the desert to be kind to me and to keep me moving strong. I told myself that I was capable and that I was well prepared for this race. Natalia had gone out hard that day, but by the second safety checkpoint—the places where the race checks on you and gives you water during each stage—I caught up to her. From then on, I kept pressing the pace because I knew this was the stage that played to my strengths and I wanted to be sure that if I were to win the overall race, it was important that the margin of victory was more than Natalia’s one-hour time penalty. I didn’t want to win because of the penalty. I wanted to win because of my strong effort that day. I found out after I finished that my overall lead was about 70 minutes. My body was holding up relatively well, but I was spending more time each day trying to regain range of motion by stretching more frequently. The introduction to sand dunes was starting to take a toll on my adductor muscles and at one point I was convinced that one of them was going to snap. My feet had several blisters, but I managed without a major disaster. Every day after I finished racing, I would wash my clothes in a Ziploc bag, clean out all the rocks from under the rug in our tent so my tentmates and I could sleep well, stretch, and then lay down for a short nap or to just close my eyes. I would wait for my tentmates to arrive so I could hear about their daily adventures. I lived from one meal to the next. We ate dinner together and most evenings we were in our sleeping bags by 7:30 p.m., with headlamps awaiting printed messages from family and friends delivered to our tent by the race organization. This part of the evening was the best; I would get so many encouraging messages from family and friends and would fall asleep with a full heart. I knew going into the final, marathon-distance stage that I just had to make sure I got to the finish line in one piece and I would have the win. That day we had some of the most challenging weather conditions we’d had all week, with very strong headwinds. For many reasons, this was the hardest stage for me. I put my head down and went for it. I wanted to run strong in my last stage, and I was really hoping to break four hours. I didn’t quite reach that time goal, and it was the hardest marathon I have ever run in over four hours. Mentally, I wanted to be done before we started the last stage even started and my motivation was low. A couple of miles after the start I ran into my tentmate Chris, who was having a great day. I told myself to stick with Chris and just follow his steps. We ran together for 12 miles and it was the best 12 miles that day for me. Chris backed off on pace a little and I kept going but then I hit a very low point mentally and my legs refused to listen to me. The next six miles were very difficult, and I felt like I wasn’t moving well at all. The sand dunes started to look like big mountains and the internal struggle was real, until a British runner flew by me and asked how I was doing. I said, “Not well, mate, having a rough stint.” He encouraged me to come with him and I said that I wasn’t sure if I could, but then I decided to give it a go. I told myself that I would try to stay with him for as long as I could. We ran together all the way to the finish and I will always be grateful for his encouragement. When I crossed the finish line, I was elated. I’ve never been more thrilled to get a finisher medal around my neck. Soon after, my tentmates crossed the finish line, and we sat around in our tent sharing stories of our last day. I saw Natalia walking over to us and she sat down next to me. With tears in her eyes and in mine, we had a wonderful conversation about life and training, and about all the doubts that creep into an athlete’s mind when something you’ve trained for so hard and for so long for goes wrong. I shared some of my own struggles, and I know she’ll be back, stronger than ever. Not reaching a goal can be a great motivator to come back stronger. I think Owen knows that his mom is a little crazy. And I know he’s proud of me. I am proud of how I tackled this experience and what I was able to accomplish. I met some incredibly tough people at MDS who became my instant family and I will cherish our time in the Sahara Desert forever. My favorite stage was the final stage on Day 7. It is the celebratory 7-kilometer run/walk. This stage doesn’t count toward your ranking, but it’s mandatory to finish. Tent 92 walked every step together, sharing stories and dreaming of future adventures. With the members of Tent 92 getting ready for the final, seven-kilometer charity walk. Photo courtesy of Tent 92. It is an honor to win this incredible race, but more importantly I learned a great deal along the way. I know how to make a tent out of a heavy wool blanket and some sticks. I know that in the face of adversity I can stay calm because storms don’t last forever. I love making new friends. Most of all, I continue to reinforce the importance of seeking big challenges because I can’t imagine a life in which I don’t scare myself a little and keep striving to complete something that I didn’t know I could do. 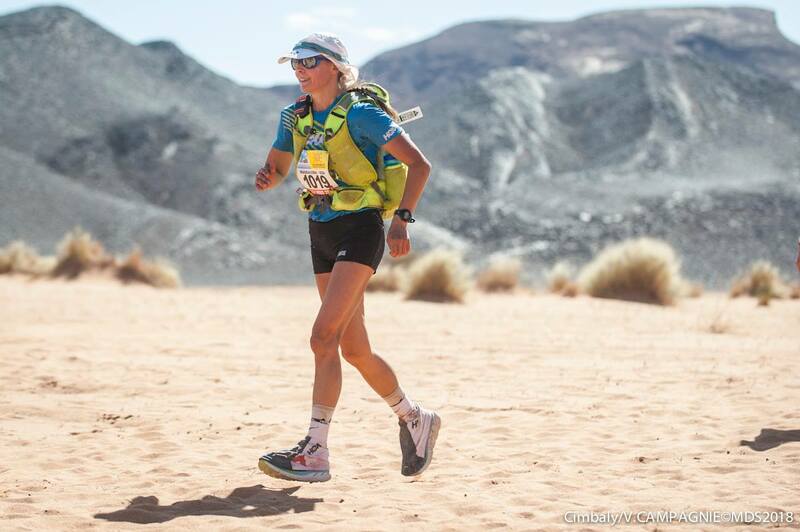 Magda Boulet, 2018 Marathon des Sables champion. Photo courtesy of Magda Boulet. I stopped reading right after that. Seriously, it should be illegal to use that term. There is no such thing as the toughest footrace. If you want tougher run faster. This is just lazy journalism for a attention grabbing headline. I prefer to avoid the appearance of hyperbole on iRunFar (especially in titles), so I have tweaked the title. ‘World’s Toughest Footrace’ is a marketing moniker used by multiple races, including the Marathon des Sables. Is the MdS the world’s toughest footrace? Probably not. One can contrive—and race directors have contrived and are probably yet to contrive—a lot of exquisitely difficult racing scenarios. In the phrase’s literal interpretation, I agree that it’s incorrect. Is the MdS hard? Objectively, indeed. Subjectively to almost all humans, I’d say yes, also. As a multi-time MdS finisher, I’ve seen the Sahara Desert at her most climactically docile and her most wild. I’ve been there in my own good fitness and less-than-ideal physical condition. I’ve been there whilst in good psychological condition and in poor. Every experience is what you make it, in addition to the independent variables in play via the race scenario. 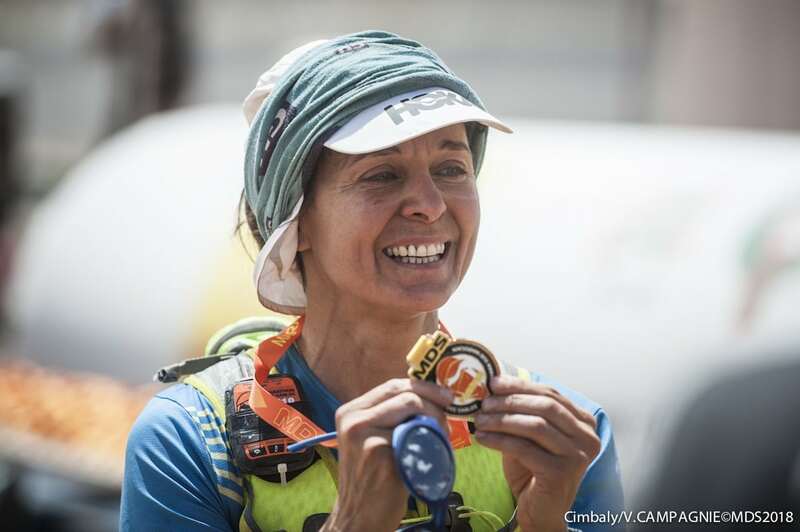 What the MdS consistently turns out to be is a physically and psychologically challenging event with an ultimately reachable finish line for the majority of its participants. So by objective definition, if something is finish-able by a thousand people each year, it’s probably not the world’s toughest. But does it matter how a race markets itself or, perhaps more importantly, how the people who undertake a race subjectively come to think of it? At times in the past, I’d have said, oh yeah, precision is everything. My mind has shifted over the years, though, and such things don’t bother me as much because I think there’s deeper meaning to be found in subjective interpretation. Magda writes in her report about choosing this race because it allowed her to challenge herself. I found the final sentence of her report to be most revealing of this, “Most of all, I continue to reinforce the importance of seeking big challenges because I can’t imagine a life in which I don’t scare myself a little and keep striving to complete something that I didn’t know I could do.” MdS gave Magda a place to stretch, grow, and become a different and better version of self. I love this expression of the human condition, and I love that something as ‘simple’ as running a race can manifest it for people like Magda and many others at races like MdS (me included.) Semantics are important, and I’m a stickler for word choice, too. But in such a lovely expression of what it means to be human for Magda, I care less about literal semantics and more about what meaning the experience has for her. So as editor, I chose to honor Magda’s expression of her subjective experience of MdS being a really hard environment in which she could better herself. 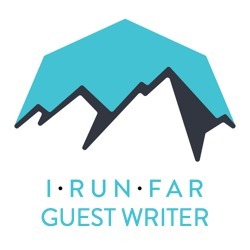 All of that said, I appreciate your feedback, can see that literal semantics carry strong weight for some of iRunFar’s readers, and will keep your thoughts in mind going forward as editor. In this case, I hope you can see past a phrase you don’t care for and see the bigger life meanings shared here. Thanks for commenting. Thanks Megan for your long response. With no doubt MdS has shaped a whole market of adventurous races and created a whole new category of races. Which is great. The problem with these phrases are that people start believing them and downgrade other way more competitive races, like Comrades Marathon or Spartathlon who are probably the two races which have seen the finest ultrarunners in the world. Of course this is not the first or the last time that “The toughtest” is thrown around in an article. We are in racing business here and you can only compare apples with apples. Ideally that is done with competitions like 50k, 100k and 24 hour road races. It’s gets difficult to even compare the same trail races like Western States or Hardrock 100 on a year to year basis. And the tough part seems to be to actually get a spot in one of these races. And I looked up Magda’s PR’s and I would say a 2:26:22 Marathon time is a though one. Let’s face it any distance race/event is hard and tough….if one pushes themselves 100%. So I agree there is no “toughest” or “hardest.” In my limited experience it seems like the longer duration races have more variables that can go exponentially wrong though! It doesn’t mean a 100km race is harder than a 50km race though as in the latter you have to run faster and the pain (while short lived) is more intense. Also a big Congrats to Madga! What a great race and well deserved! Great write up and great job at the race! I really enjoyed reading this, thank you. Very nicely put. I love it. Thanks for sharing this guys. I was out there with tent 92 and felt very privileged. One of the best times of our life (in one of the hardest race out there for sure – if you’re not sure, just do it…). Magda is a tough girl, no doubt, but she’s also most joyful, natural, kind, laid back and one of the smartest person I know. In one word: healthy and inspiring (OK, two). She heavily deserved that win. Good things happen to good people. I will never forget this trip. Good job Magda! You rule girl. Awesome write-up, Magda. Such an epic event and one of the classics in world ultra-running. Not many events can claim to have created a new category of running race (like Western States also did). thank you, really enjoyed the saga..
Magda rocks. Plain and simple. Magda is pure class and clearly has a depth of range in her talent (which is shown year after year after year). Insightful and informative report, and as has been mentioned prior, is really more about the human experience than the actual race itself. Congrats on a superb run, and thanks for sharing! Kudos to Magda on a great race and great report. Amazing race report! Congrats Magda. The gram counters out there will be inspired by your minimal weight – especially in the meal department. Well done Magda. Great report. The thing with the MdS is it is not just about the running. It is about managing your feet with the sand, the heat, your mental state, running the sand dunes, carrying your food and then realising that you can live off so little. I think this race can really change people to simplify their lives. I ran the MdS back in 2010 and it was an amazing experience. The camaraderie that you get with your tent companions is unbelievable and with all competitors. I remember hobbling to the finish line on our double day to cheer the last people in. So awesome effort Magda. I ask though, would you run it again? I know my answer would be yes! Awesome report and congrats on a great race! This race is always interesting to follow each year. Great write up. Toughest footrace just seems to be the term associated with MDS. I wouldn’t read too much into it. I am not sure it downgrades other races. I’ve heard Comrades being advertised that way too. Ultimately it is more about how you race that makes a race tough. Well done to Magda and great write up. A beautiful report on such an amazing experience inside and out. Thank you and congrats Magda! Outstanding both with the event and the writing. Great race report. Well written and inspirational. Described both the physicality and emotions of running the race. Excellent race Magda and excellent article. Thank you.